Hamfests are events organized by amateur radio enthusiasts, for social gathering and promotion of the amateur radio hobby. Typically annual or semiannual events held over a weekend, they can last from several hours to several days. Most feature a flea market where the attendees buy and sell radio and related equipment. The equipment found at a hamfest can vary significantly from the newest high-tech gear to used, refurbished, or even antique equipment, and haggling or bargaining is the most common means of sale. Equipment that originally sold at great expense to commercial users (such as public safety agencies) can often be found at a fraction of the price. Likewise, accessories which are no longer available from manufacturers may be found, and many sales of complete systems are made to buyers who only need one or two components. Junk boxes are common, frequently containing scraps and remnants from finished projects or equipment long-since gone. 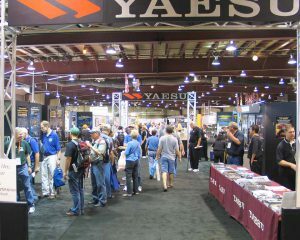 Some hamfests feature demonstration and sales booths manned by vendors and manufacturers of commercial amateur radio equipment. Hamfests may also include meetings of amateur radio clubs, seminars on technical, operational, or legal aspects of amateur radio, and license examination sessions. 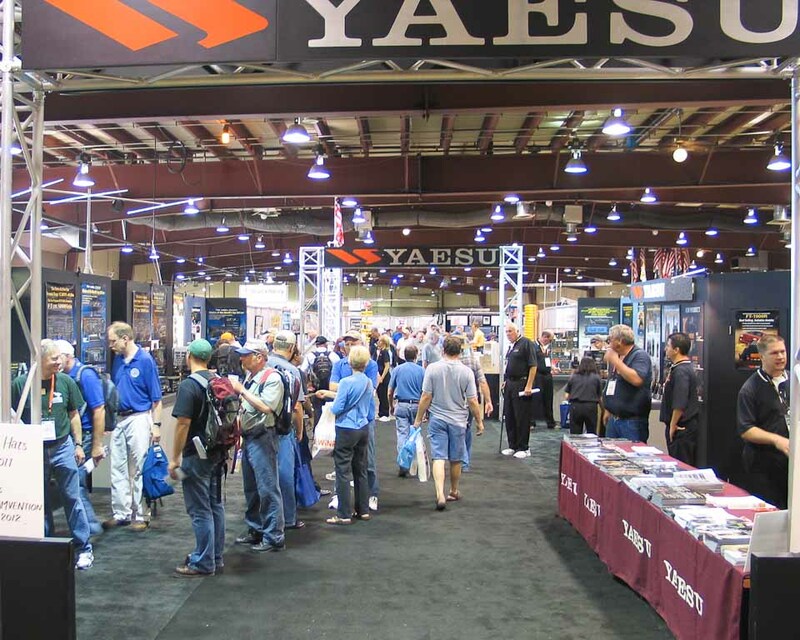 The Dayton, Ohio Hamvention, the International DX Convention, the HAM RADIO event in Friedrichshafen, Germany, and the Central Coast Amateur Radio Club Field Day near Sydney in Australia are events where manufacturers most commonly introduce new products to the amateur radio marketplace.